Oberlin College’s mission is to provide high quality, relevant education enabling the broadest possible community of learners to achieve their goals and enrich the world. However, if a conflict does arise, students are encouraged to reach out to appropriate personnel to discuss concerns, grievances and complaints. Issues related to academic courses should be raised first with the instructor, then the instructor’s department chair, and finally the instructor’s dean, if necessary. More information can be found here under the Student Grievance Procedure section. Issues related to sexual misconduct should be filed with the Title IX Coordinator. If an issue cannot be resolved by Oberlin College’s internal processes, students may choose to file a complaint with the Ohio Department of Higher Education. 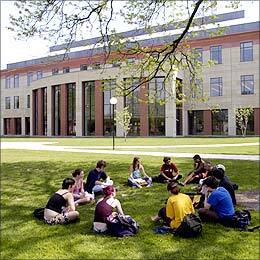 Students who reside in other states may appeal to their state of residence. More information can be found here.